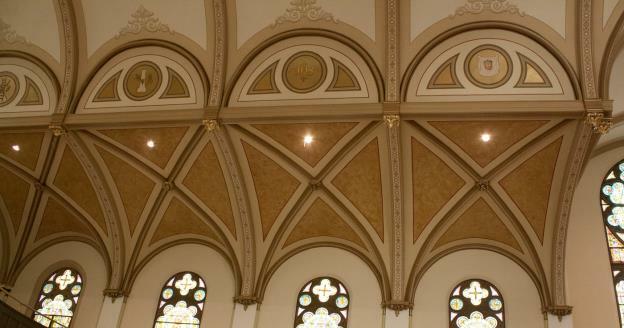 BSOA's team arranged a warm pallet with harmonizing elements to coalesce the Romanesque Revival styling of the barrel ceiling and arched walls at St. Joseph's Catholic Church in Wapakoneta, Ohio. 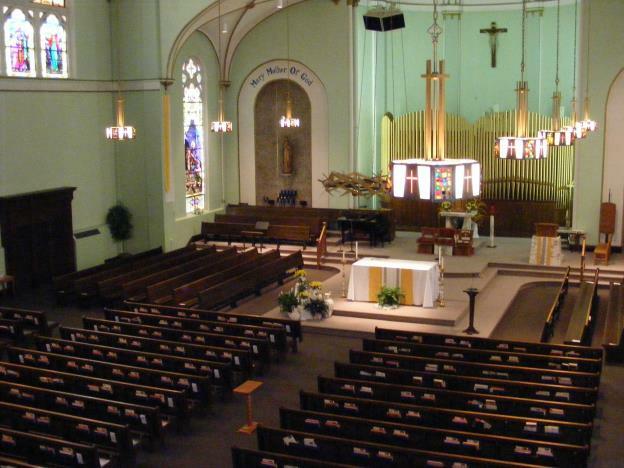 Following award in February of 2013, Blanck Studios established a rapport with St. Joseph's restoration committee to present the scope at bi-monthly meetings via onsite sample-work. 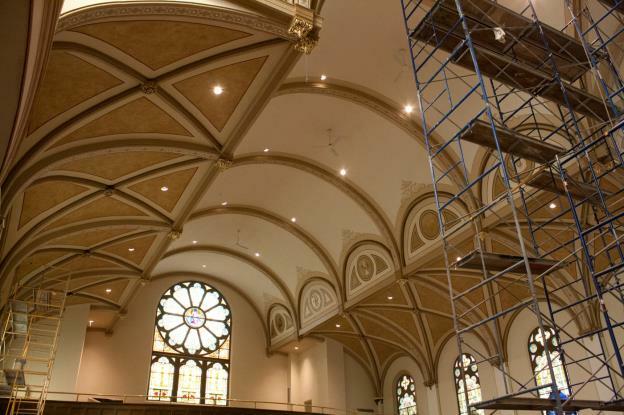 Blanck Studios is no stranger to rigid timelines and worked along-side drywallers, mill workers, flooring technicians and electricians to complete the restoration within a four month window, in time for Christmas. 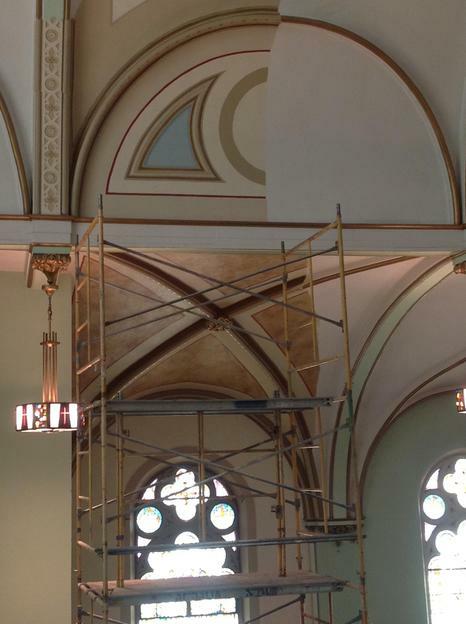 Aligned with Brian Brothers Painting in Piqua, Ohio, Blanck Studios applied all ornamental elements over their primers and base coat painting. 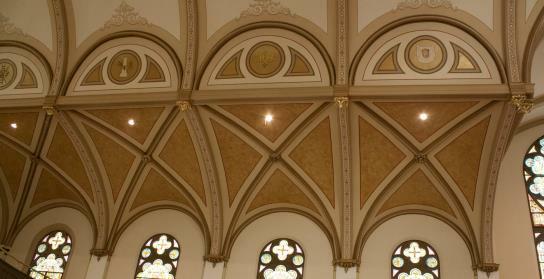 The Sanctuary dome is gilded with genuine 23 kt.  gold leaf. Five pie shaped sections comprise medallions depicting symbolic representations of the four gospels with the Agnus Dei in the center. 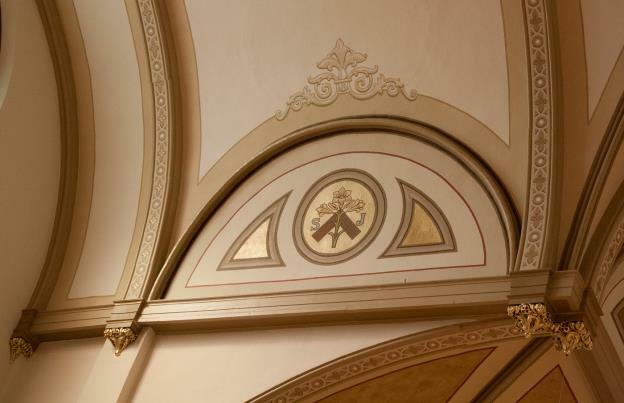 A trompe l'oeil crown stencil adorns each lower arched section of the barrel ceiling. 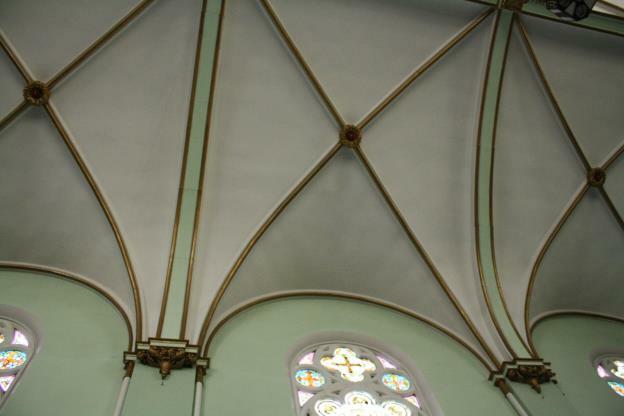 Each half-round opening houses a replicated medallion, unique only to St. Joseph's Church. The amber mottling texture glaze in the side aisle ceilings triumphs the paint scheme by adding dimension and delineation amidst the neutral tones of the barrel ceiling and walls. Decorative pilasters and columns that encompass the perimeter walls are faux marbled to match the altar and corresponding fonts. 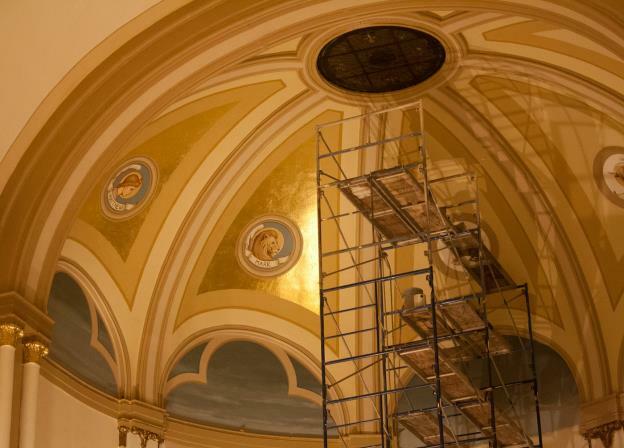 St. Joseph's also wanted to return three large scenic murals, from an earlier paint scheme, to the Sanctuary's Apse wall and Mary and Joseph murals inside the domed side altar niches. The mural of Joseph as well as (15) medallions were replicated from original artwork provided by church archives.